Eula McKee Eula Darlene McKee, age 60, passed away at her rural Bronson home on June 26, 2018, after a brief illness. Eula was born on Jan. 15, 1958, in Garnett, to Walter J. Stotler and Iva J. Zornes Stotler. Lester E. Marshall, 58, Atchison, died Thursday, June 28, 2018, at the Atchison Hospital. Donald Eugene Bramble Sr., 80, of Atchison, passed away Wednesday, June 27, 2018, at the Medicalodge of Atchison. Mary Ann (Barber-Gripe) Tull, 85, of Atchison, died on Tuesday, June 26, at the Atchison Senior Village. KANSAS CITY, Mo. 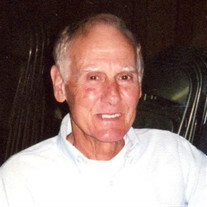 Sandy L. (Blevins) McRae, formerly of Highland, Kansas, currently of Kansas City. GARNETT, Kan. Megan Rochell Simons-Smith, age 27, Garnett, formerly of Mound City, Kansas, died Wednesday, June 27, 2018, as the result of an accident. Sydney L. Mullett, 80, of Arkansas City, died Wednesday, June 27, 2018, at South Central Kansas Medical Center of Arkansas City. View The Obituary For Rebecca J. Halstead of Topeka, Kansas. Please join us in Loving, Sharing and Memorializing Rebecca J. Halstead on this permanent online memorial presented by Davidson Funeral Home. View The Obituary For JOAN (CORZINE) GOODALE STEERS of WICHITA, Kansas. Please join us in Loving, Sharing and Memorializing JOAN (CORZINE) GOODALE STEERS on this permanent online memorial presented by Baker Funeral Home Valley Center. View The Obituary For Audrey Kay Marshall of Pittsburg, Kansas. Please join us in Loving, Sharing and Memorializing Audrey Kay Marshall on this permanent online memorial presented by Brenner Mortuary. View The Obituary For Matilda (Tillie) Mary Stejskal of Larned. Please join us in Loving, Sharing and Memorializing Matilda (Tillie) Mary Stejskal on this permanent online memorial presented by Beckwith Services & Monuments. Fernita M. Heiskell, 90, of Parsons passed away at 9 a.m. Friday, June 29, 2018, at the home of her daughter, Peggy Karhoff, of rural Parsons. James B. “Jim” Ryan, 70, of Salina, passed away Friday, June 29, 2018. Ryan Mortuary, Salina, is handling arrangements. Richard Paul Armstrong, 79, of Salina, passed away Thursday June 28, 2018. Roselawn Mortuary, Salina, is handling arrangements. Gary J. Fernandez, 64, of Salina, passed away Friday, June 29, 2018. Ryan Mortuary, Salina, is handling arrangements.